The Academy of Natural Sciences at Drexel University opened a new exhibit centered around the subject of Academy curator Robert Peck’s new book “Specimens of Hair: The Curious Collection of Peter A. Browne” Nov. 14. 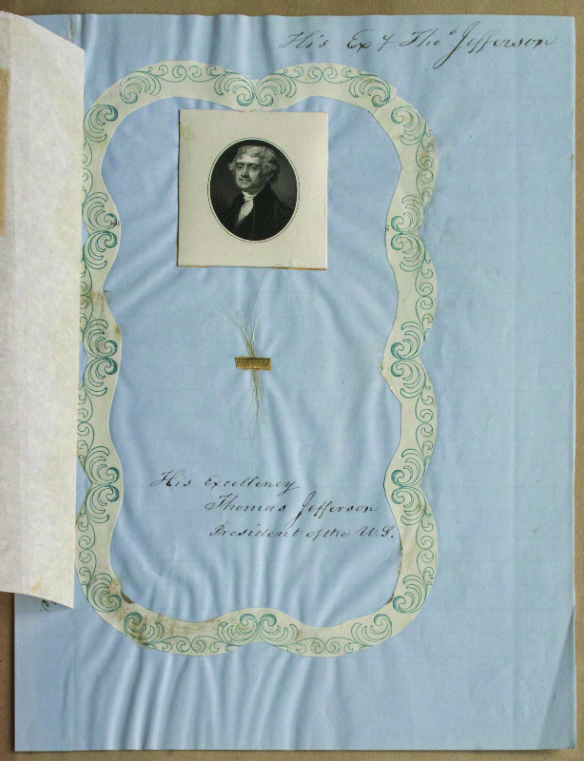 For this exhibit, which will be opened until Feb. 18, the Academy will display naturalist Peter A. Browne’s five 19th century albums containing samples of human and animal hair, including 13 samples of U.S. presidents’ hair. With the collection on display at the Academy of Natural Sciences at Drexel University for a few months, visitors have a chance to view a collection built around the study of something we all have. In regards to the presidents’ hair, it will be probably the closest that most of us will get to them in real life. “The importance of saving such a collection and caring for it is that it tells us a lot about the world. Also, it tells us different things over time,” Robert Peck, curator of art and artifacts and senior fellow explained. This will be the third time that the museum has put the locks of the presidents on display. The first time was over a weekend in 2008, during the presidential year. The second time was for the month of July 2016, when Philadelphia hosted the Democratic National Convention. The presidential hair collection was covered in papers all across the country and the process of writing “Specimens of Hair: The Curious Collection of Peter A. Browne” began there. Peck was approached by a publisher in New York named Laura Lindgren from Blast Books. She has done work with places like the Metropolitan Museum of Art and The Natural Academy of Sciences. A photographer named Rosamond Purcell, who Peck had worked with previously, was brought on to do all of the photography for the book. There were several different people featured in the hair collection like academy naturalist Joseph Leidy and the Smithsonian Institution’s first secretary Joseph Henry. Henry offered to help Browne with this project by writing to museums and everyone he knew around the world asking if they would contribute. He is also responsible for Browne making the decision to give the collection to the Academy of Natural Sciences. “When Browne wrote him a letter at the end after he had thousands of hair samples, he wrote to Mr. Henry and said, ‘what do you think I should do with this collection? Should it come to The Smithsonian?,’” Peck explained. However, they decided to keep the collection at the academy due to the robust scientific activity within the museum and since they expected a greater number of people could see it from this location. As such, it’s been at the academy since 1860. The amount of hair that Browne received from a person varied. It somewhat depended on whether they were alive or dead at the time, Peck explained. If they were alive when he wrote them, they gave him a large amount. If they were dead, like George Washington, the hair was in short supply and desired by many people. There are only 13 out of 14 U.S. president’s hair featured in the collection, the one who is missing is Millard Fillmore. The reasoning is down to an instance of miscommunication. Peck explained how staff will lift the glass from the two cases and turn the pages of the album every three weeks so that none of the samples are exposed to the light for too long. Overall, he said this preserves an important time in history. “Had we not saved it all this time, all that would have been lost,” he said. Ultimately, according to Peck, this collection will continue to have an impact on the science community for years to come. “It’s the responsibility of museums like The Academy of Natural Sciences to preserve and document collections of the natural world, including humans, so that we can have that as a record going forward for generations to come,” he said. This, he said, is important in an ever-changing world. “Science is always a changing process, and there are always new things to discover,” he said.